I Am the Christ – the Anointed King. When you know Me as your King of Kings, the name “Christ-ian” takes on a whole new meaning. Wear My name with honor and testify to My goodness. Listen, you are not the loser that your history says you are. You are the winner your destiny says are. 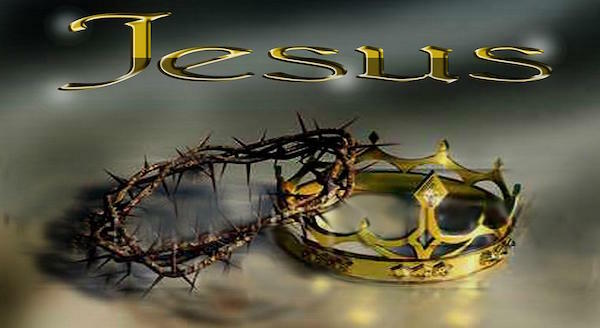 Do you know Jesus as your King? If you don’t, you need to. You see, if He’s your buddy or homey, you don’t have the proper perspective. You’ve limited who He is to you and when you do that, you limit what He can do in and for you. When Jesus is your bud, you need lots of grace to get through each day. The word “grace” is only found in the book of Revelation two times. It’s in the first and last chapters. Why is there no grace in the book of Revelation? Because when you are fully in the presence of Jesus, you don’t need grace. Why? Because you’re both holy and you’re righteous. Grace is really good as long as you’re messed up. But the day is going to come and you’re going to get an upgrade from grace and walk in the reflection of the Lord Jesus Christ. You’re going to walk in holiness and righteousness, and there’s no need for grace anymore. When you know the King, when you’re part of the King’s family and a joint heir to the Kingdom, you don’t need grace because you’re Holy (set apart) and righteous. Get to know Jesus as your King of Kings and embrace your destiny.